My wife and I were married 15 years ago today! I'm taking it back to where it all started with today's post. 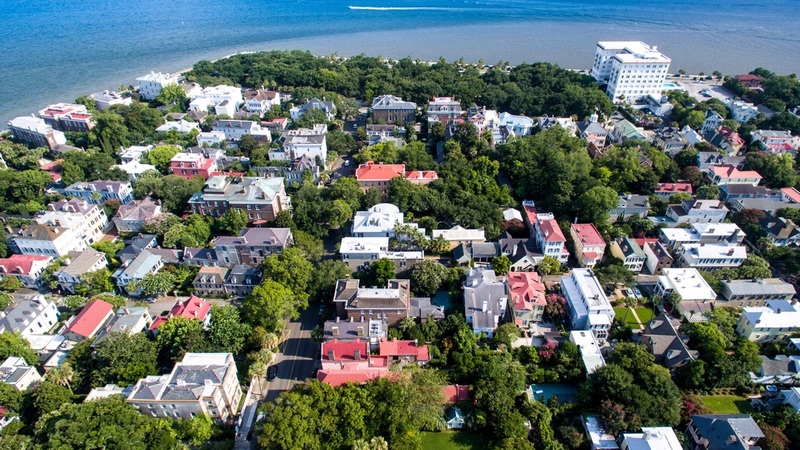 This is the tip of the peninsula in downtown Charleston, known as "South of Broad" because it is all south of Broad Street. The area to the left is the French Quarter. The history in this area is as thick as the summer air and just as intoxicating. It's a magical place and I have felt its draw since my first visit when I was six years old. Naturally, it's also where I chose to propose to my wife and begin the most magical journey of my life. I proposed to her on a bench in that park in the top of the photograph. I was going to do it at the famous gazebo in the center of the park but it was set up for a wedding and I thought that was a little too presumptuous! Here's to a tremendous 15 years and many more! This photograph was captured with a DJI Phantom 3 Professional drone and edited in Adobe Lightroom.